Lotto PowerPlayer Ultimate 2019 Lottery Software is a professional tools for lottery players from around the world. With this lotto software you can track and analyze the historical winning numbers (supports 150+ charts), generate full tickets and wheeling tickets, use filters to filtring out bad tickets (supports 68 filters). PowerPlayer For Pick 3/4 2019 lottery software is a professional pick 3 & pick 4 lottery programs. With this Pick-3 Pick-4 lottery software, you can track and analyze the historical winning numbers (supports 100+ charts), generate tickets and use filters to filtering out bad tickets (supports 50+ filters). 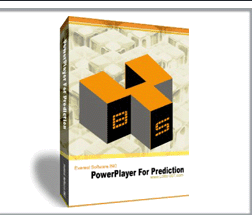 PowerPlayer For Prediction 2019 lottery prediction software can help you predict the next drawings and give you drawings trend chart. The 2016 version supports the historical drawings verification. Lotto Version click here . Pick 3/4 Version click here . Jason Davis from California writes: "I purchase the program on Tuesday, played the Saturday night Super Lotto and won $1000.00! Just wanted to let you know this softwarereally works. The filter is powerful!" Ajet Kastrat from NY writes: "Hi guy, I wanted to let you know that I hit for $100 on New York Lotto on May 16, 2008 using your Lottery Software." Jason Davis from California writes: I purchase the program on Tuesday, played the Saturday night Super Lotto and won $800.00! Just wanted to let you know this softwarereally works. The filter is powerful"! Ajet Kastrat from NY writes: "Hi guy, I wanted to let you know that I hit for $100 on New York Lotto on May 16, 2010 using lotto powerpalyer Software." Hoxhaj Ardian from MO writes: I want to tell you i won $1000 use your predictor program! powrful program systems! Dan O. From Florida writes: Hi, I see you've got some more winners since I first looked in at your program a couple of weeks ago. This is to tell you that I also am a winner, but not as much. I've won $156 so far and only spent $30. That's pretty good to me! Thanks! 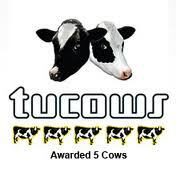 frank From Illinois writes: I'm another grateful user of your application. I let my family use it for the Christmas draw and we won $450. We sure celebrated that night thanks to your remarkable powerplayer software. Bless you. DELGADO ALVAREZ From Spain writes: You have a special place in my heart because it was this week end that I won $440 in my lotto game with your wonderful software of playing. I am forever gratefull. Your software is esy to use, I don't have any problem. I have played twice on your soft system. I found the programs easy to follow and did both a Wednesday and a Saturday system. The first, last week, I got 3 numbers for the Big Wednesday. I personally find your program easy enough to play. I have had winners on the first two times I used the system and it's only been 1 week since I got it. thanks a lot. I found the pick 3 software very easy to understand. It makes alot of sense. I bought lotto 80 and used half of the numbers to play lotto Ontario49. One ticket matched 3 out of 6 numbers and the same ticket matched 5 out of 6 which is only 2 numbers away for the million dollar jackpot. Copyright 2005 - 2019 PowerPlayer Lottery Software Team All rights reserved.